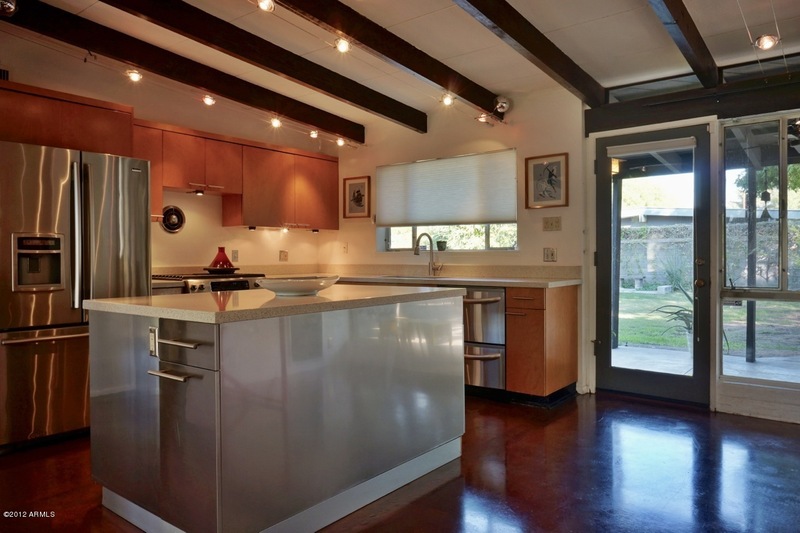 Phoenix is fortunate to have an active community of Mid-Century Modern enthusiasts and activists. One of the best known architects was Ralph Haver, who built homes around the Phoenix valley from 1945 through the mid 1980's. Low profile gently sloping roofs, floor to ceiling glazing, clerestories, masonry construction, and large bold chimneys were the hallmarks of a Haver home. Unfortunately over time, many of these homes have been "modernized" by homeowners who weren't concerned about the historic preservation of these homes. 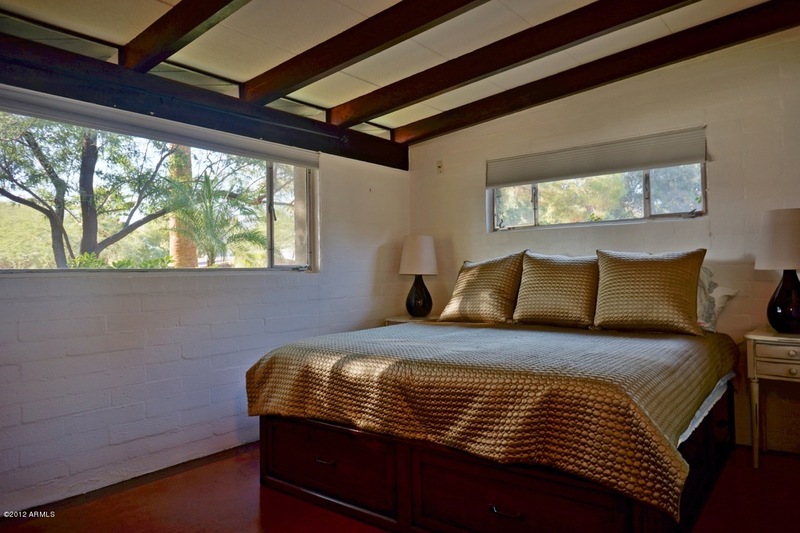 Here is a beautiful update to a 1952 Haver home currently for sale in Phoenix. 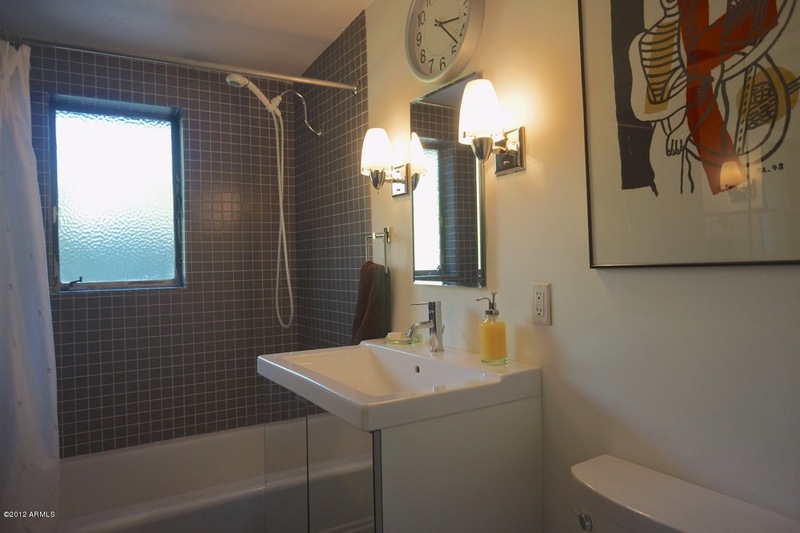 The updates maintain the integrity of the original home. 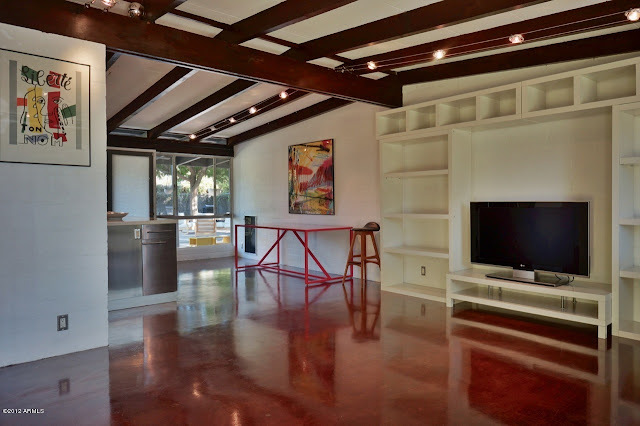 I love the stained beams and the stained concrete floors. Home restoration is a labor of love. We are fortunate that many people in Phoenix are invested in reviving these homes and returning them to their former glory. Periodically I will blog about other historic architects and builders in Phoenix and the neighborhoods in which they reside. 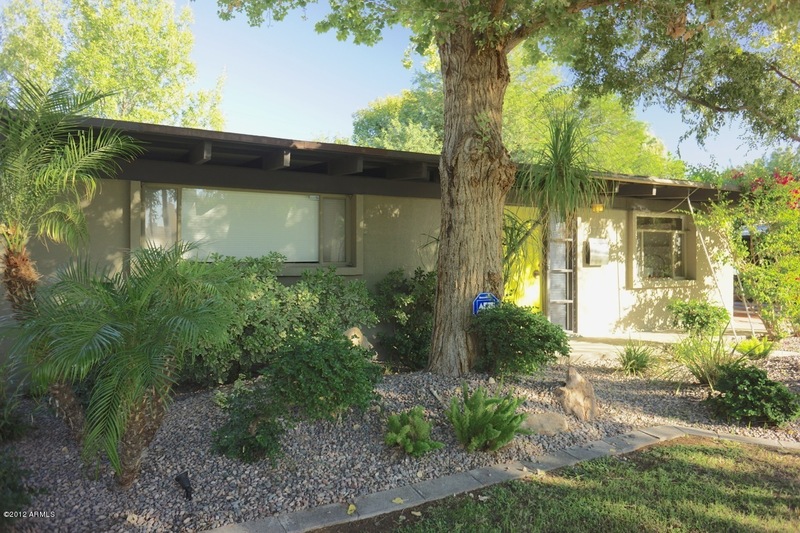 We may not have homes that are hundreds of years old like many communities, but Phoenix has some beautiful neighborhoods filled with homes worth loving and restoring.